tasks as opposed to hawking technology for technology’s sake alone. A complicated user experience can generally go one of two ways: consumers tend to deal with difficult devices they consider essential – laptops, tablets, phones – whereas overly complex “non-essential” products may end up in a basement box where old, troublesome devices go to die. Designs that resolve underlying technologies to a nearly invisible state complemented by a clearly outlined value proposition tend to live on as a “how did I live without…” multiple iteration device. A recent example: General Tool & Instruments is marketing a new line of smart phone connected measuring devices at Lowe’s. These precision tools, under the ToolSmart™ brand, are designed to capture temperatures, angles, video and measurements and in the case of the Laser Distance Measurer, calculate project materials required – e.g. paint, flooring, molding etc. Forge was engaged to design the packaging for ToolSmart and its debut in Lowe’s “Innovation” section. Skilfully integrated packaging graphics and structures stage the product with strong visual cues and simplified benefit statements. Here the packaging helps bridge the gap between promise and purchase, a key link in the overall user experience. 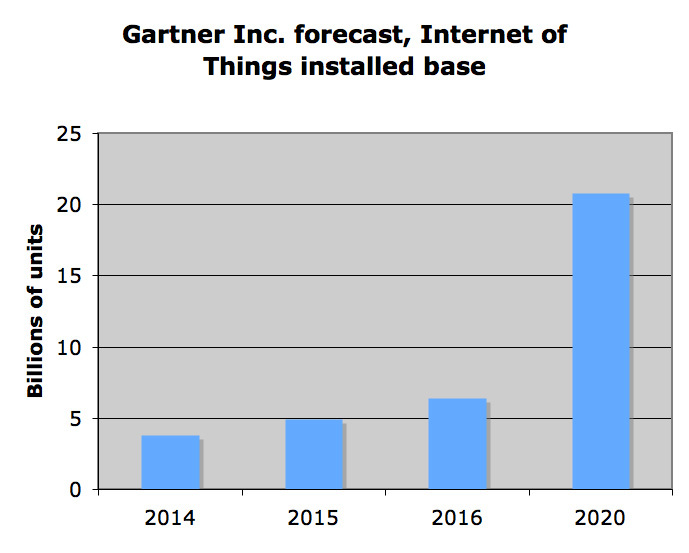 Forecasting the number of connected devices is a popular pastime with predictions coming from every corner. In a Gartner IoT forecast*, they estimated that by 2020 more than 21 billion things will be connected to the internet with as many as 500 networked devices in the typical home. Hard to say if connected toasters will be among them but it’s not hard to imagine a good number will be found in tool drawers, benches and belts.